Elon Musk and Tesla Motors tweets regarding the upcoming demonstration of upgrading the Tesla Roadster to a 400 Mile Range has increased the interest in Roadster ownership. To continue further the previous post upon receipt of the CAN SR a few days back. Each version of the CAN is sold for $695 each and is well worth it. What makes the CAN from Henry Sharp a valuable accesory is that it allows Roadster owners a nicer/smaller adapter to standard J1772. 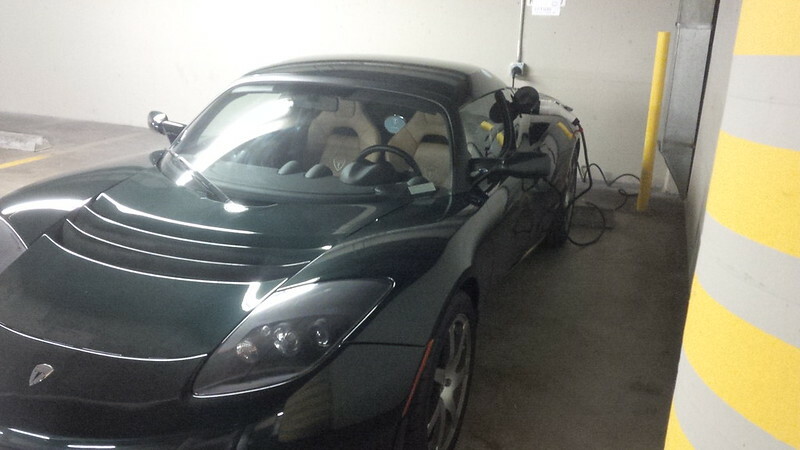 The Tesla produced product is rather bulky and a car like the Roadster space truly is a premium. 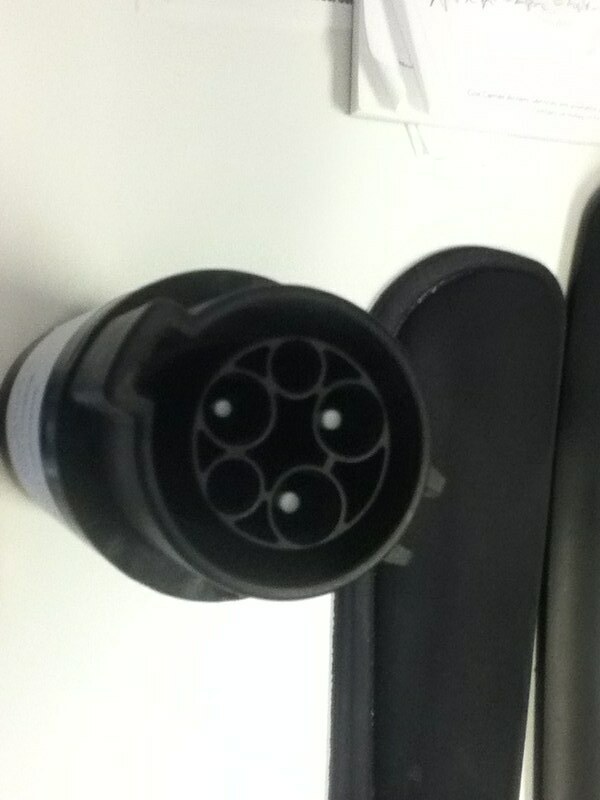 Here is a photo from Tesla (from their shop) of the Tesla produced adapter. Whereas the CAN from Henry Sharp is rather compact. 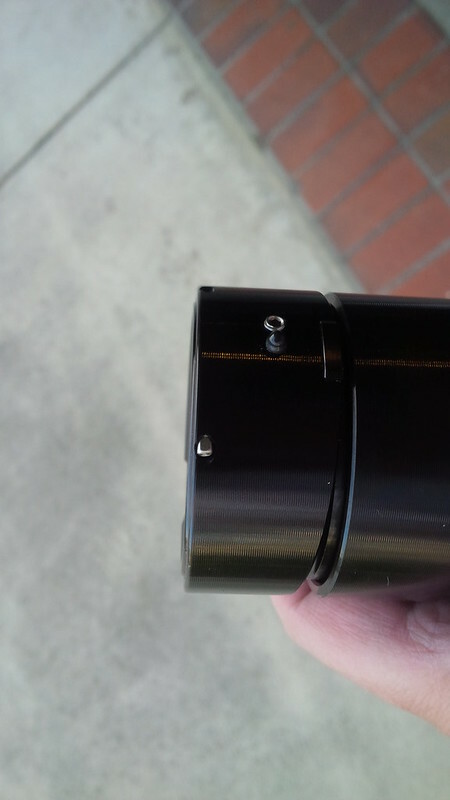 This first picture is the J1772 side that the Roadster driver uses to plug the J1772 into. This second picture is the Roadster side that the Roadster driver uses to connect to the Car. 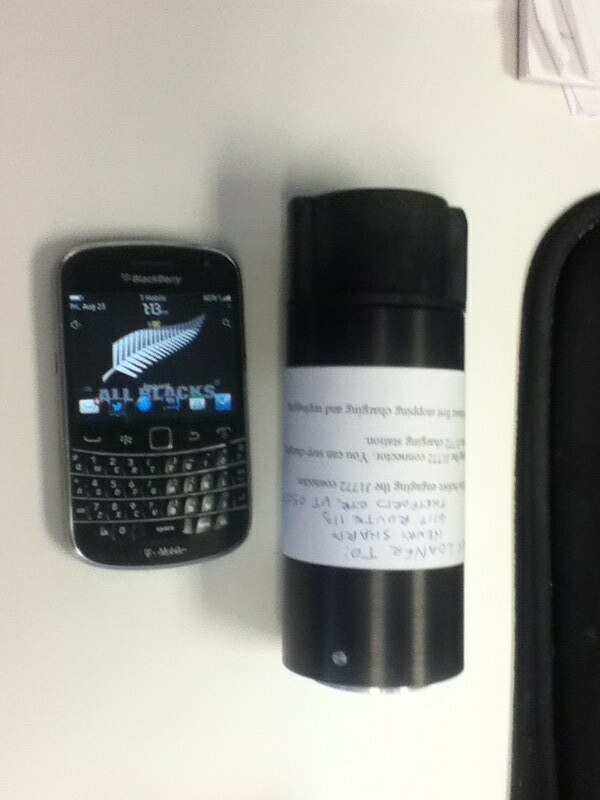 You can see that the CAN is not much larger than a Blackberry Curve Telephone. 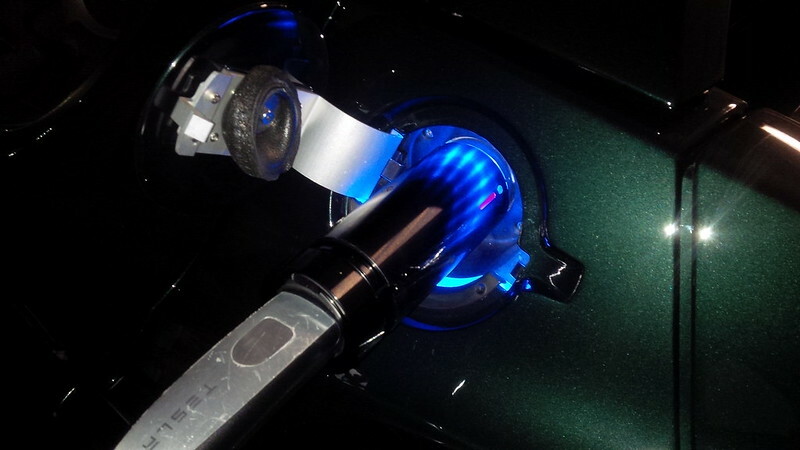 And here is the CAN attached and charging a Roadster. To ensure that the CAN does NOT walk away at public stations, there are slots in place to place a small padlock into it. It works great with the JESLA from Tony Williams of QuickChargePower. Before purchasing the CAN SR, I would highly recommend that Roadster owners get the latest Firmware upgrade. There is a known bug between unpatched Roadsters and EVSEs that charge greater than 70 Amps. A fully configured Tesla Model S HPC is configured to run at 80 Amps and the Roadster, if unpatched, would be confused by that issue. The patch for this error has the Roadster understand an 80 Amp signal and drop the rate to 70 Amps, which is the maximum speed that a Roadster can handle. 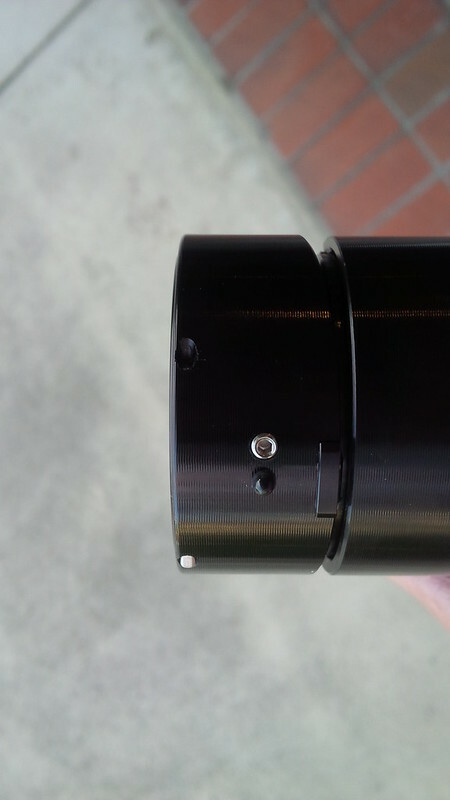 This next picture is the Model S side that the Roadster driver uses to plug the Model S nozzle into. This once again is the side that plugs into the Roadster. 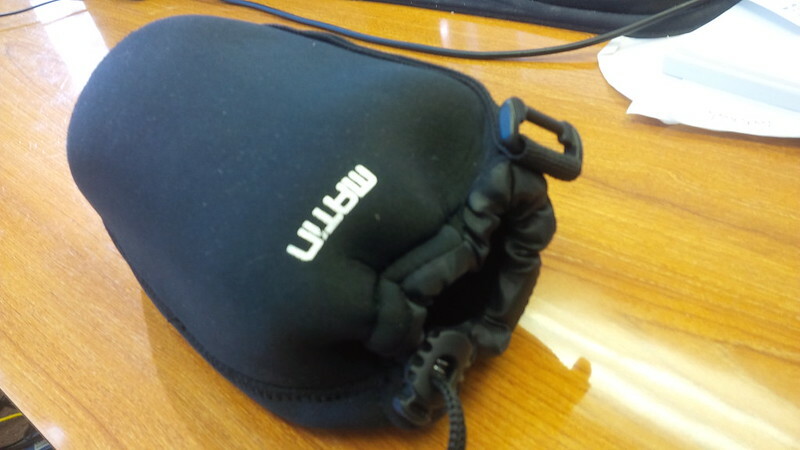 Henry sends each CAN with a neoprene bag to protect and store the adapters into as pictured. 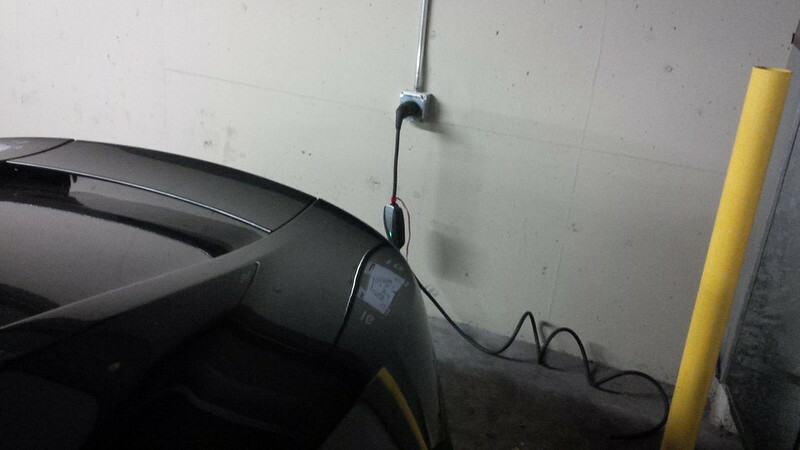 Here is the CAN SR plugged in and getting ready to charge in our garage. 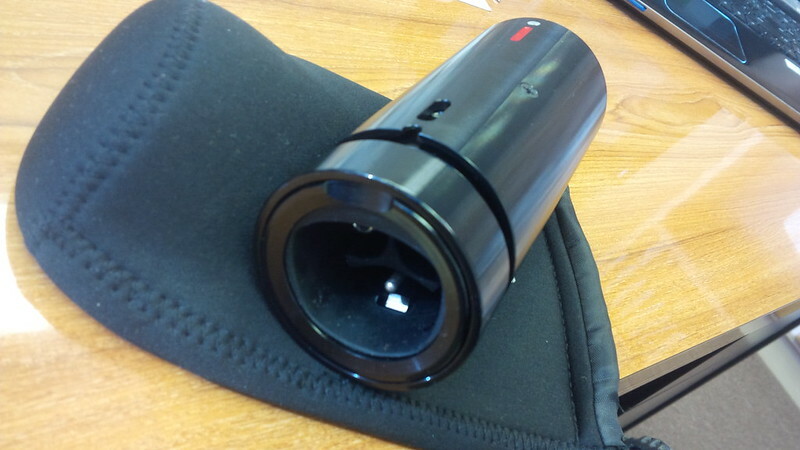 Lastly you can see the detail of the construction of the CAN SR. It’s a great accesory. So, how do I use these adapters. 2) Plug the J1772 into the CAN. 3) I insert the padlock into the slot for the CAN to lock it in place. 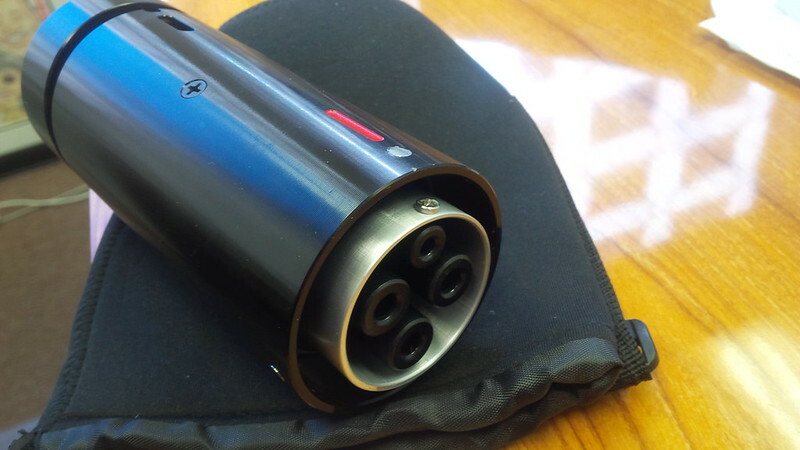 4) If I need to interrupt charging to leave, I press the stop charging button on the VDI of the Roadster OR stop on the charger, otherwise, if it IS stopped, then proceed to the next steps. 5) I take the padlock off. 7) Unplug the CAN, put can in the bag, and put the bag in the Roadster. 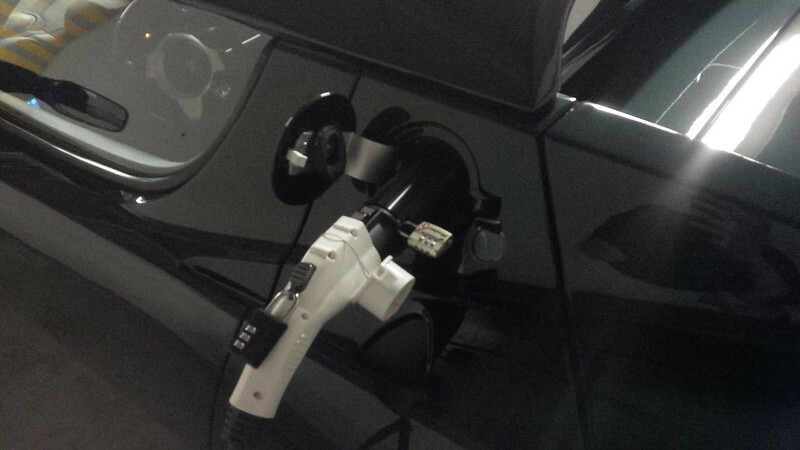 2) Plug the Model S nozzle into the CAN. 4) If I need to interrupt charging to leave, I press the stop charging button on the VDI of the Roadster OR stop on the charger, otherwise, if it IS stopped, then proceed to the next steps. 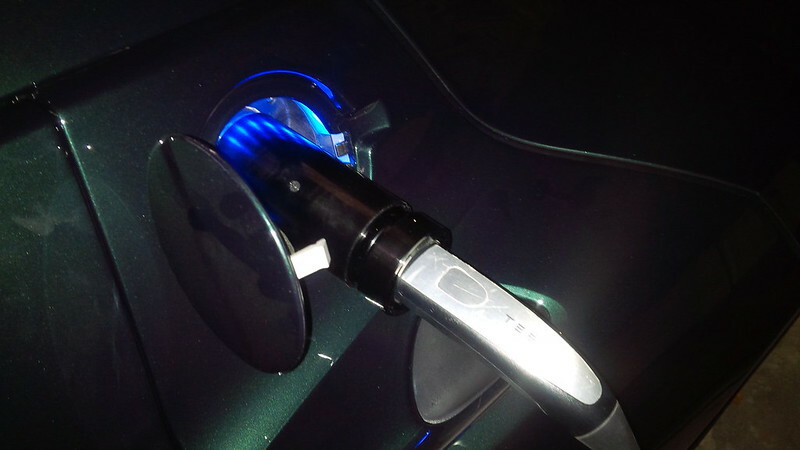 I have not yet tried this, but according to Henry, I can pull the ring around the Model S nozzle to stop charging as well. 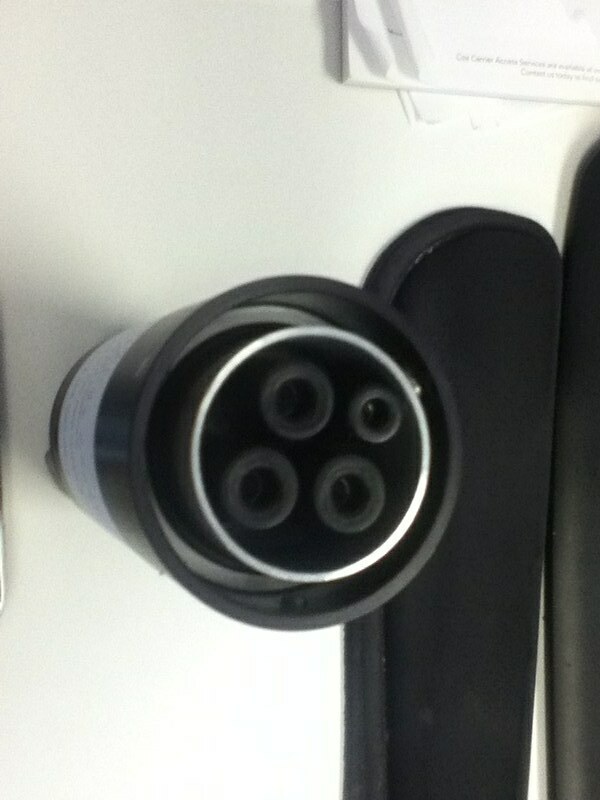 6) Unplug the Model S adapter. There are very few “must haves” for the Roadster, and the CAN JR and SR are two of the things Roadster owners should consider owning.